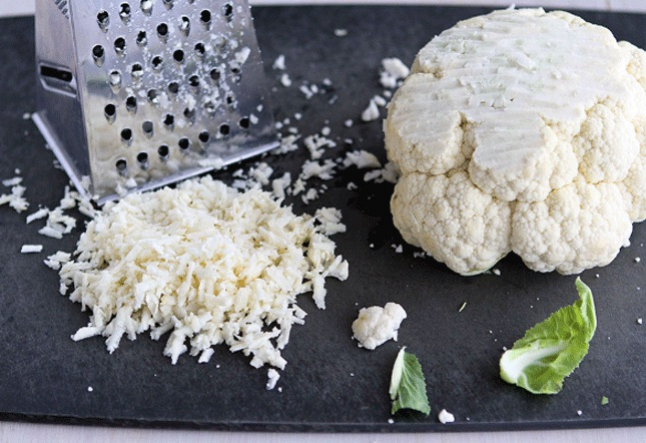 Roughly chop the cauliflower and pulse in a food processor briefly until the pieces resemble rice (or keep chopping if you don’t have a food processor). Do not over-process or you will have mush. Place cauliflower in large mixing bowl and add the turmeric, lemon juice, olive oil, sea salt and toss. Stir in vegetables and herbs. Chill.